You are here: Home / Journal / MicroJournal / Bye-bye, NetBook. Helloooooooooo, nurse 13.3″ laptop. 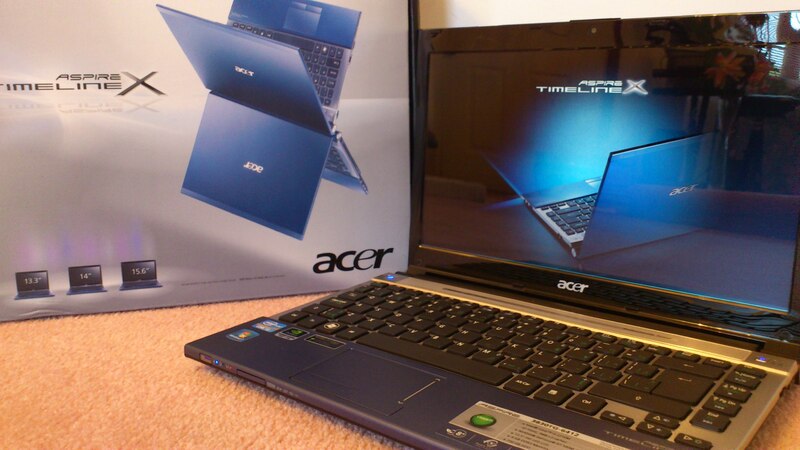 Before I went to work yesterday, I followed up on last minute research I did the night before and exchanged the underpowered NetBook for the Acer Aspire 3830TG, which Staples happened to have in stock; it was also on sale for $100 off. I didn’t want an insane amount of power, so it comes with a Core i3-2310M, 4 GB DDR3, dual Intel GMA 3000/NVIDIA GeForce GT 540M, and 750 GB HDD. Awesome.